Click the button below to add the Relaxed Hair Shampoo to your wish list. The problem with many shampoos is that they strip your hair and scalp of their nutritive oils or leave behind chemical residue that builds up and can negatively affect your scalp or hair. Immediately improve your hair the instant you use this Relaxed Hair Shampoo. 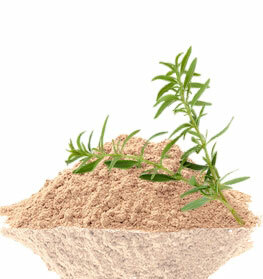 It has potent ingredients that quickly improve the look and feel of your hair almost like magic. Rescue dry, damaged, and brittle hair with breakage using our Relaxed Hair Shampoo that restores vital moisture with nourishing and botanical oils that deliver herbal nutrients that are quickly absorbed, adding shine, strength, and softness to hair. Within the first use, your hair will feel strong, nourished and soft with bounce and shine. Gentle enough for everyday use, our shampoo is made with ingredients that add value to your hair and scalp as it washes away unwanted dirt and residue and restores the nutritive moisture balance to your relaxed hair. Made without sulfates, artificial coloring, artificial fragrances, or parabens. This luxurious shampoo pampers, renews and moisturizes hair from root to tip for relaxed hair that feels and looks great with incredible softness and shine from the first application. Nature’s best ingredients provide nutrients with vitamins that feed and hydrate relaxed hair. Keratin straightening treatments, perms, colors, and other hair treatments are maintained and protected by this shampoo. Formulated with what some call nature’s “liquid gold,“ Argan oil uniquely nourishes to strengthen and revive damaged, treated hair, helping to prevent lost hydration. Argan oil is easily absorbed by the cuticles of hair, nourishing dry hair and making hair shine with health and radiance. Daikon Radish Seed Oil is a nutritive alternative to silicone that provides shine and luster. It also helps with detangling and nourishes dry, damaged hair. Kukui Nut oil is native to many islands, including the Hawaiian Islands. It contains vitamins A, C, and E, which are beneficial in keeping hair hydrated and smooth. Naturally scented with pure Palmarosa, Orange Peel oils and others make for a crisp, clean, refreshing, and cleansing experience. 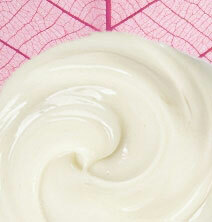 From South America, Babassu oil moisturizes without the greasy or oily feel to it. • For shiny locks, use cool/cold water for the final rinse. • Ends feeling dry? Try our Leave in Conditioner or Moisturizer Hair Pomade. I like that it has all natural ingredients. Cleanses well. I would like it even more if it detangles my hair. I have become a natural kind of girl when it comes to healing, health and happiness. I am drawn to whatever I need when I need it. This product came to me just at the right time, even though I wish it could have been sooner. I have relaxed hair that's long, but I was continuously having to start over due to hair color or perming my hair during a time it was dry and then breakage would occur. After one shampoo a week before my relaxer, no hair shedding occurred and it was strengthen and growing healthy strands in a matter of two weeks! That's super power...Thank you to the maker of these products for caring and sharing. I really like this product - combined with the conditioner my hair feels clean and soft! I" m delighted with this product. "Before every time I shampooed my hair it was very dry and brittle like straw. Now it's manageable and you feel the moisture.